Many Alaska cabins may lack power or have no water pressure. Our units are gravity fed to provide you with a supply of safe drinking water. These units are also great for emergency situations or for camping trips and field expeditions. We have two units to choose from. Contact us or stop by to learn more about the best solution for you. 1. A gravity fed model can produce over 50 gallons per day. Ideal use when you have no water pressure, pump or power. 2. If you have power in your cabin, you can use the two stage system. 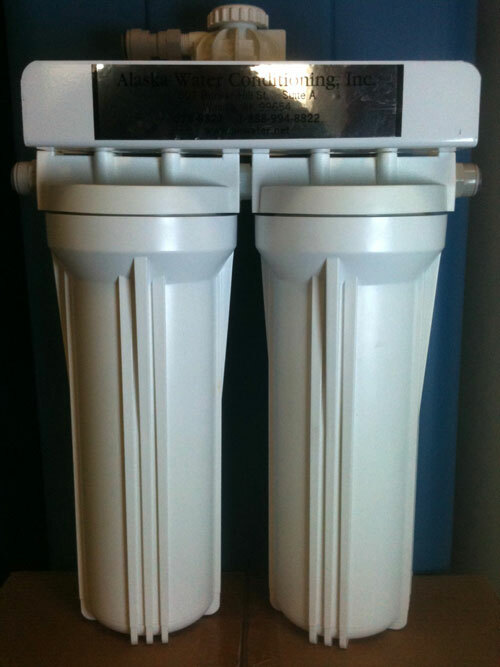 Eco friendly/washable filters, removes 99.99% of pathogenic bacteria, i.e. giardia and cryptosporidium.